ceremony was held at Al Islami stand during Gulfood exhibition. increasing its share of the global halal food market. Sullivan O’Carroll. 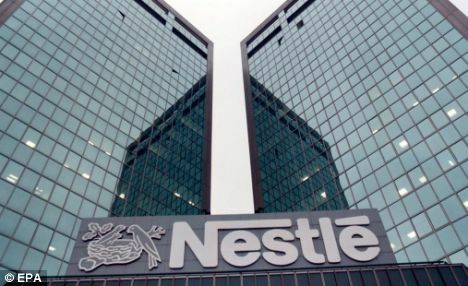 This is because Nestle Malaysia is now the biggest halal food producer in the Nestle group, distributing more than 300 types of halal products, he says. agreement with locally-based distributor Arabian Trading Supplies (ATS). In a country that uses styrofoam containers for its take away food practically 3 times a day this could be good news. Let’s just hope the food stalls invest in using them! They should be given some kind of incentive to ‘go green’ with their containers. post-modern and organic agriculture in the Southeast Asian nation. Techno Park, a fully owned subsidiary of Economic Zones World. Halal mozzarella in Malaysia. Now that is a business idea! Then to carry on and sell Halal organic meat, well that is going to the next level. Friendly Farms have gone to great lengths to get Halal rennet for their cheese and make sure that their quality meat is professionally slaughtered by Jakim appointed slaughters and professionally cut and packed. This is the way to go with Halal to justly call products ‘Halal and Tayyib’. Food safety is big news, and it is likely to stay at the top of the agenda for manufactures and consumers alike in the coming year. This is both a challenge and an opportunity for players in the Halal food industry. Safety and hygiene form the underlying foundation for a food item to be Halal. Unsafe food of any kind, regardless of how it was slaughtered or manufactured, is by definition not Halal. The more the Halal food industry wakes up to this reality, the stronger the Halal market will become. agreement was signed in Jeddah. Kraft looking at the Halal market? An interesting interview with Kraft CEO Irene Rosenfeld that includes a few clues about how Kraft is planning to get into the Halal market. Like many of the majors, Kraft is becoming increasingly aware of the value of the Halal market. Even in Muslim-minority countries like Canada and the USA, the Halal sector still represents multi-billion dollar markets, and in hard times, these previously unnoticed consumer segments are starting to get noticed. This article on a company that produces lubricants for equipment in the food industry, and also for cosmetic and pharmaceutical production is, once again, showing that Halal certification comes in at many different stages of manufacturing that people do not realise. Besar (PMB) project, Halal processing, and Islamic finance. This company has also gone to the trouble to get both Halal and Kosher certification for many of their food grade products. Some people do not realise that Halal certification requirements even go into the fine detail of being sure that the lubricants used for the machinery producing the food, and the glue in packaging, are are inspected. and products acceptable to devout Muslims. in Australia for Halal food. The Philippines are working full steam ahead on breaking into the world Halal markets by the first quarter of 2009. Now they have their Halal standard they are working on getting the companies certified and ready for the export market.